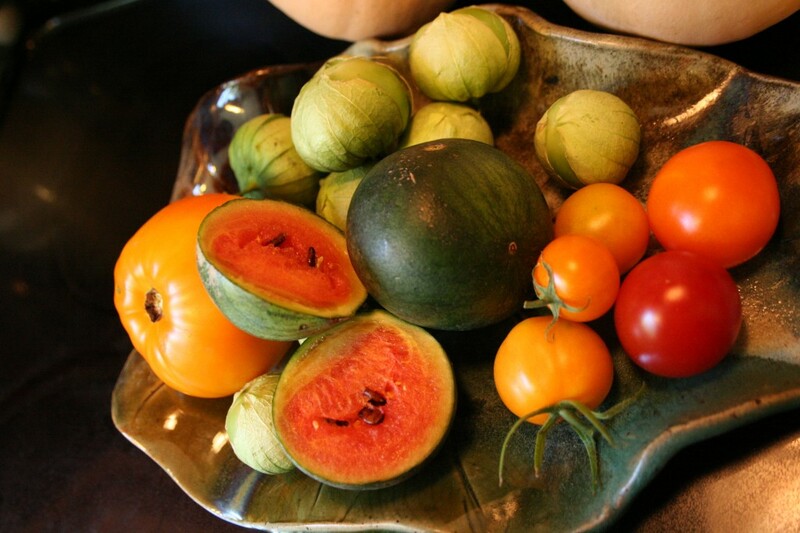 Tomato, Tomatillo, & tiny, tiny….Watermelon? I bought this miniature watermelon plant, it said it was little, but seriously? It’s smaller than one of my smaller tomatoes, but still larger than my smallest tomatoes. Since I am the only one in my house who enjoys eating watermelon this might a good one to grow, but couldn’t it be a little bit bigger? This entry was posted on Sunday, September 5th, 2010 at 4:38 pmand is filed under . You can follow any responses to this entry through the RSS 2.0 feed. You can leave a response, or trackback from your own site. Didn’t the plant tag give you a size range. Your grandfather used to grow small watermelons but they were about 6 to 8 inches in diameter. I can’t remember more than that about them. But after you cut into them and scooped out the good part there was barely enough for two people. Maybe you need to check out a different variety.